If you think you’re a bit handy with a remote control car then you’ll think again when you watch these amazing videos! Based on the popular Japanese Drifting style of driving, where the car is put into controlled slides, these advance driving techniques are incredibly difficult to master in a real car, let alone with one a tenth of the size! Some of the skills shown recreate famous scenes from the famous Ken Block Gymkjana videos. Ronny C’ Rock’s world record for handbrake turning a car into a parallel parking space with 14cm to spare is also repeated several times. 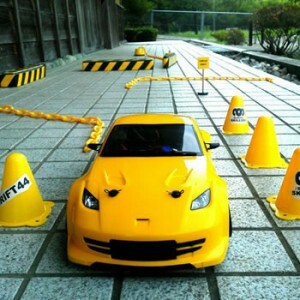 The man behind the rc car controls is known as Drift 44. You can find out more about him, his other videos and get tips on how to setup a remote control car for drifting on his facebook page here.